Despite being a Muslim Island Lombok and the Gili's certainly know how to have a good time. Linger over a cocktail in a trendy lounge, bar hop along the beachfront or take in a vibrant live music scene. 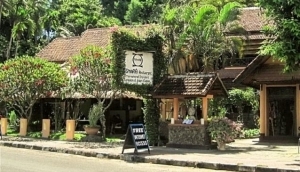 Locals are really friendly too so there is lots of fun even for solo travellers.You will find a wealth of late night cafes and karaoke bars in Mataram and beach resorts in Senggigi and the Gili Islands love to party until very late with numerous places resounding to live reggae and rock bands. If you are in the mood to really party hard head to the Gili Islands for its famous full moon beach parties.